We all enjoy praise for a job well done. But not everyone is comfortable asking for feedback. We look at some techniques to make it easier. Customer feedback is an incredibly useful business tool. The most successful businesses are those that listen to their customers, and meet – or even exceed – their expectations. But in order to know how you’re doing, you need to collect feedback. The Which? Trusted Traders profile page offers you a great opportunity to build a range of reviews from your customers. Several traders have told us how they’ll use the reviews as a selling tool, inviting customers to read them as part of their sales pitch. Find out more in our article about how to get more customer reviews on your profile. Read on for more about getting customer feedback. While you’ll find that some customers will leave a review in any event, in most cases you’ll need to ask them directly. Some businesses have built this into their daily working routines already and, as a result, they’ve built up a resource of great reviews on their Which? Trusted Traders profile page. It’s a good idea to ask for a review as part of the final sign-off you do with your customer. But how do you go about this, if it isn’t already part of your processes? We’ve put together a list of dos and don’ts to help. make a positive impression on your customers. Customers are more likely to leave a review if you’ve created a connection with them and they want to thank you for the work you’ve done. talk about Which? Trusted Traders before, during and after a project. Letting customers know about the scheme and how it works, and using reviews you’ve already collected before you start, means it’s not a surprise when you ask them to leave a review at the end of a job. When you provide a quote, you can attach a Code of Conduct leaflet and explain the process you’ve had to go through to be one of only around 5,000 individual traders endorsed by Which? in the UK. explain the importance of reviews to your customer. Knowing that others may rely on their feedback when choosing a trader can help motivate customers to leave a review. give options about how to leave feedback. Ask your customers whether they’d prefer to use a pen-and-paper review form or leave a review online, and provide them with the tools to do so. make it as easy as possible. Share this article on how to leave a review with them, send customers the link to your profile page, show them how it works on an iPad, or leave them a paper review form to fill in and send back to Which? Trusted Traders at the end of a job. send a reminder. It’s easy for customers to forget to leave a review, despite the best of intentions. Why not send them a reminder email with a link to your profile page, when you send over your invoice, or as a follow-up thanking them for their custom? You can use our downloadable review email template to make it easier for you. think about additional incentives for customers to leave a review. You can’t bribe customers, but you can be creative. For example, Van Man Storage and Removals Ltd lets its customers know that it donates £5 to a local charity for each review left on its Which? Trusted Traders profile page. be pushy. No one is obliged to leave a review. You can ask for one, but your customer should never feel forced into leaving one. send more than one reminder. No one likes to feel bombarded with requests. stand over your customer while they complete a review. Customers should be given space and left to complete a review in their own time. Your presence could prevent them from being completely honest. fill out a review card or online review form on behalf of your customer. This is against the Which? Trusted Traders Code of Conduct. The review must be in your customer’s words and completed by them. post review cards on behalf of customers. This is against the Code of Conduct because of the potential to intercept any negative reviews. offer a cash incentive to leave a review. This could potentially influence the type of review, and so goes against the Code of Conduct. Customer feedback is always helpful. 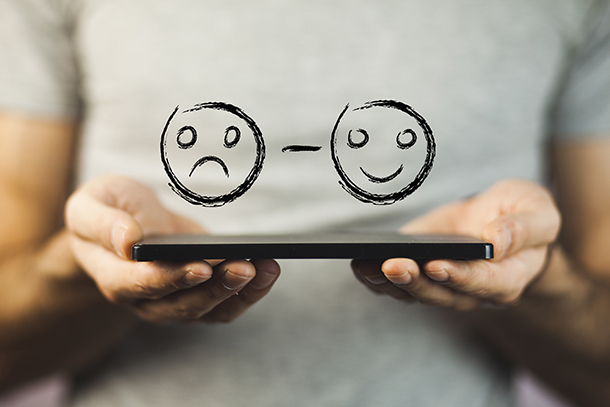 Whether it’s a positive review that shows potential customers you’re a trader that they can trust, or constructive feedback to show you where you need to improve, it can benefit your business. If you’re good enough to make it on to the scheme, we’d fully expect most of your reviews to be positive. But if you do receive a negative review, you’re given the opportunity to respond and put your point of view across. If you’ve done a good job, there’s no need to feel awkward about asking for feedback. It’s a standard part of business for consumer-facing companies, large or small, and customers will take it in their stride. As long as they don’t feel under pressure, most people will be happy to leave feedback, and you’ll soon find the reviews building up on your profile page for you to show to potential new customers.